Every time I want to feel like I am on a holiday, I will take a short journey to Quayside Isle at Sentosa Cove. Although it is in Singapore, it doesn’t exactly feel like it with the relaxing atmosphere and slower-pace of life. 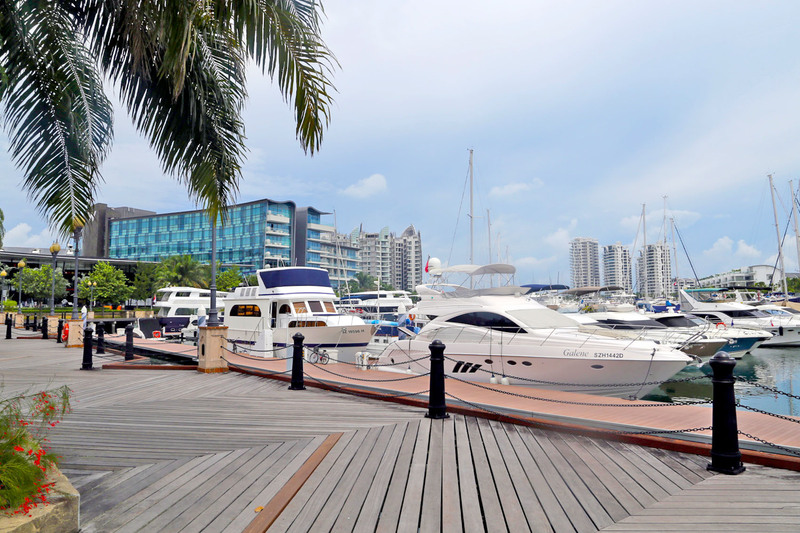 During the weekends, you can also see families and groups of friends taking leisure walks by the marina, children playing with their pets, and subsequently heading off to a dinner, and after-dinner drinks at some of the 16 popular restaurants there. The weekdays can also feel like weekends at Quayside Isle. 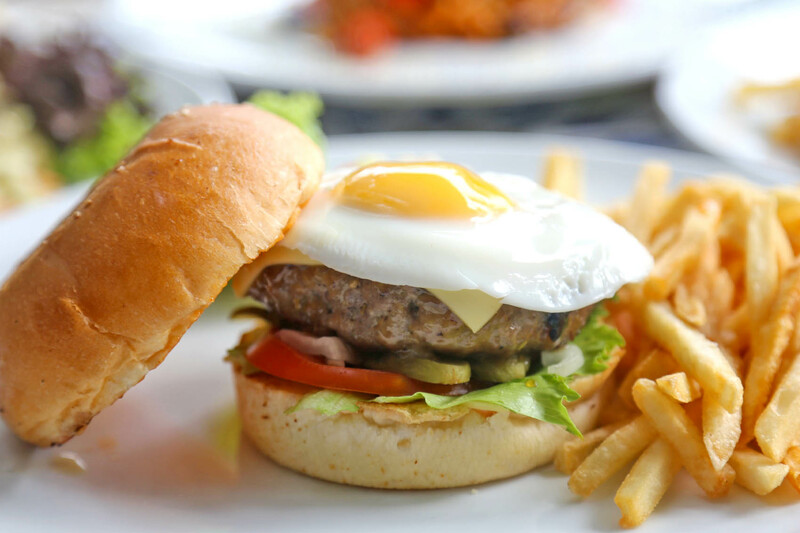 Entering Sentosa for a meal costs only $2 extra (from 12pm to 2pm and after 5pm on weekdays), and many restaurants are offering wallet-friendly lunch sets. I say this is a great opportunity for casual corporate meet-ups and the occasional lunchtime celebrations with colleagues. 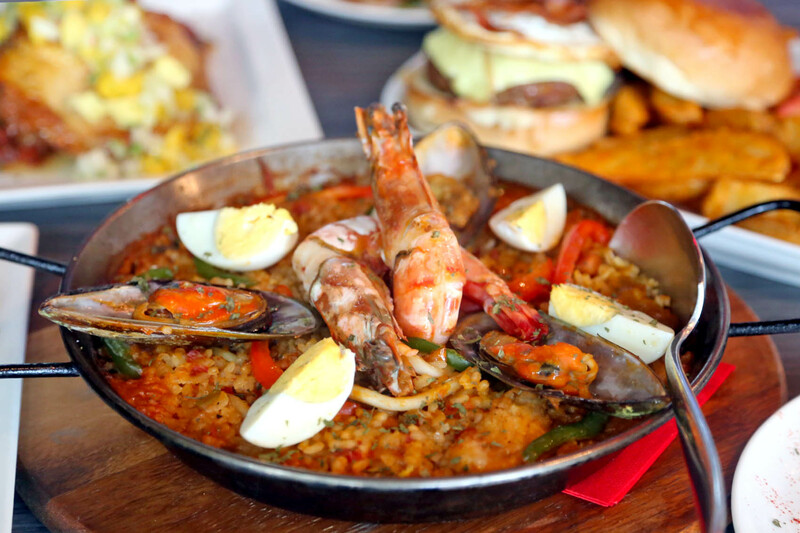 Sabio By The Sea, Tapas Bar & Grill is already known for offering a Spanish gastronomical experience with a huge variety of tapas, grilled meats and seafood. 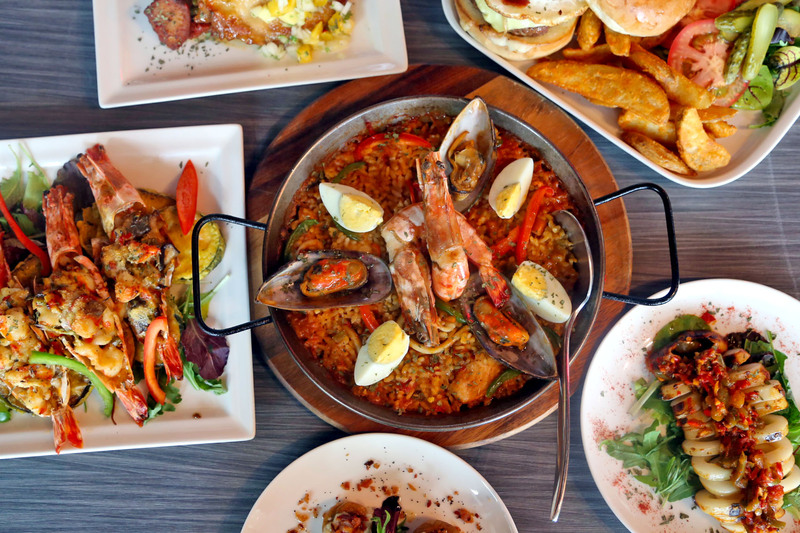 It has now become more attractive to spend the weekday afternoon just relaxing and savouring Spanish cuisine. The weekday set lunch is priced at a value-for-money $23++. Starters include a Spanish pumpkin soup or cold cuts platter, main of a Salad (choose among grilled chicken, chorizo, spinach and goat cheese or vegetarian), or a Grilled Chicken with Roasted Garlic and Melted Manchego Cheese. The must-have… their signature dessert of Churros dipped in hot chocolate, easily one of the best available in Singapore. 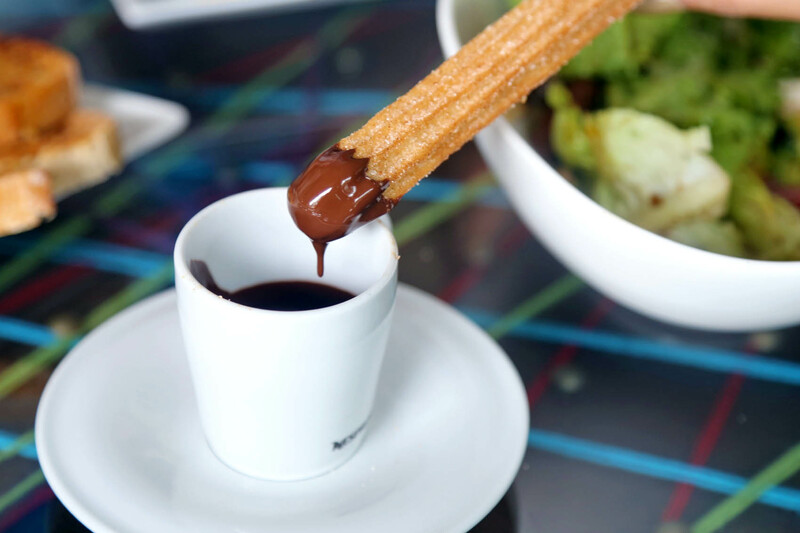 If Churros isn’t your thing, you can always try their Crema Catalan! The weekday set lunch also comes with coffee or tea. Also, wine lovers do take note. You can get an add on of their signature glass of red/white sangria at just $5++. In fact, this fruity refreshing drink has been very popular with many diners at Sabio By The Sea, Tapas Bar & Grill, especially in the Singaporean heat. 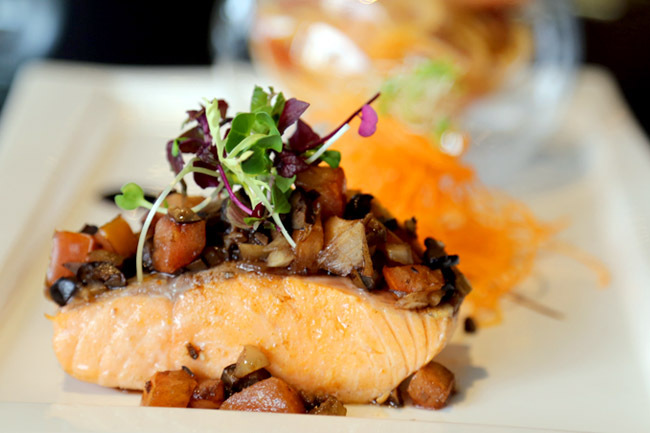 The experience of dining at Quayside Fish Bar & Bistro is quite beyond comparison, offering an exciting menu of the freshest fish and seafood air-flown from around the world, with an impressive view of the marina. 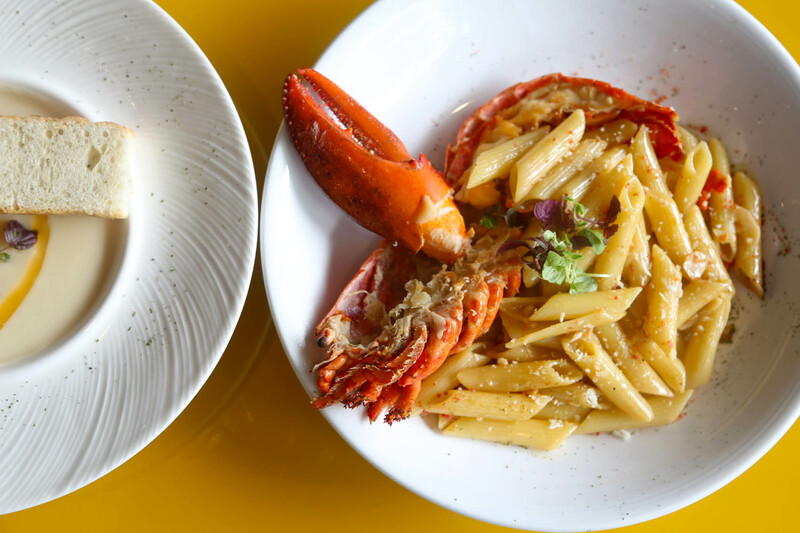 Our jaws dropped in amazement when we saw a rather generous portion of the set lunch served to our table – a Lobster Pasta cooked perfectly with al dente penne and a Tiger Beef-Battered Halibut with white truffle scented shoestring fries. 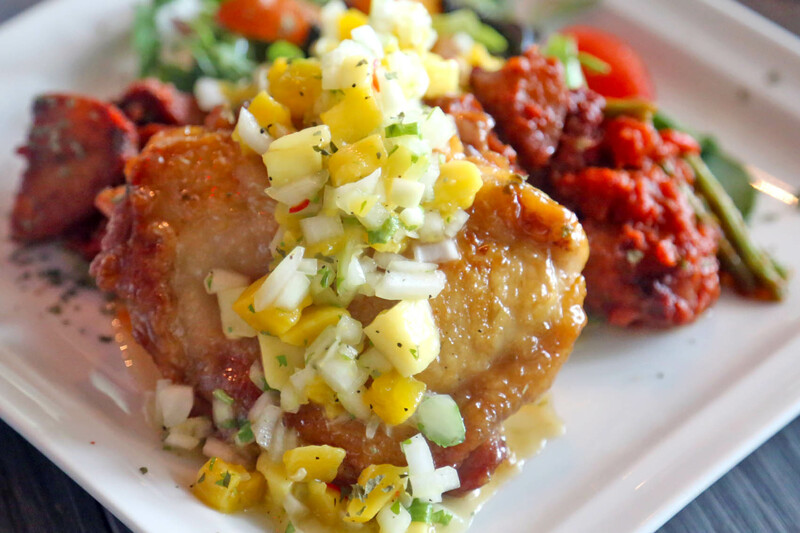 The 2-course lunch is priced at $29++, and the 3-course at $39++. Both are available on Tuesdays – Fridays from 12pm – 2.30pm. 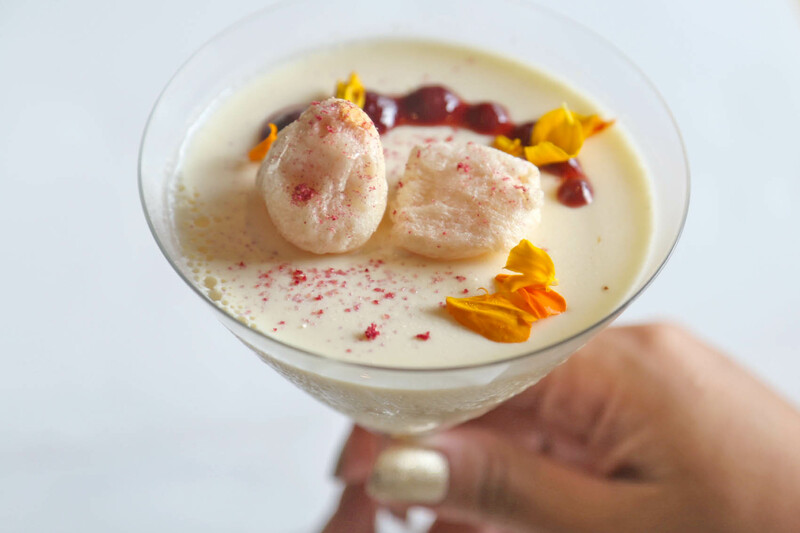 What sealed the deal was the Zesty Panna Cotta with Dehydrated Lychee in Raspberry Sauce dessert, delicately sweet and smooth that you will want a second helping. Stepping into Earl of Hindh made me feel that I am transported elsewhere with its colonial style décor, traditional patterned flooring and grand portraits of Maharajas hanging on the walls. I must admit that I am not familiar with Indian fine dining establishments, and was pleasantly surprised at its offerings. 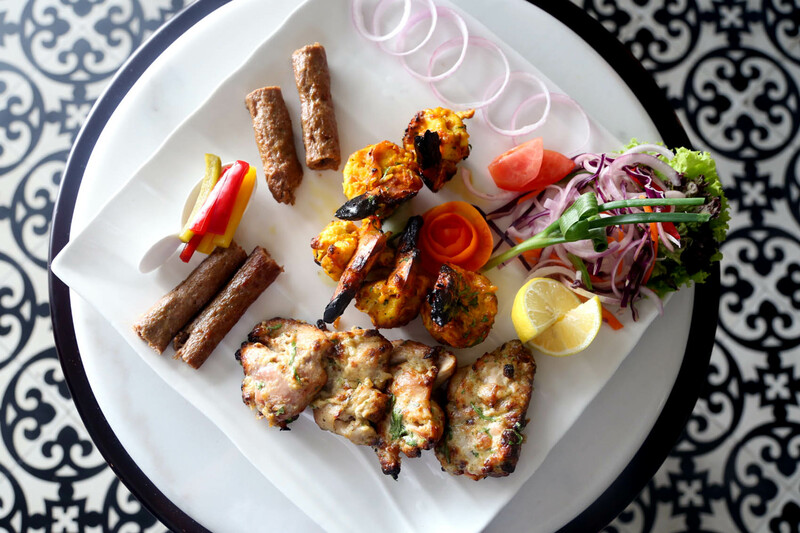 The restaurant aims to present food like to the royalty, with an appetising range of Indian kebabs, curries, naan, breads and long grained basmati rice. We thoroughly enjoyed the starters, especially the Jhinga Jaan-E-Dum ($38++), a jumbo prawn dish marinated in Chef’s secret spices. 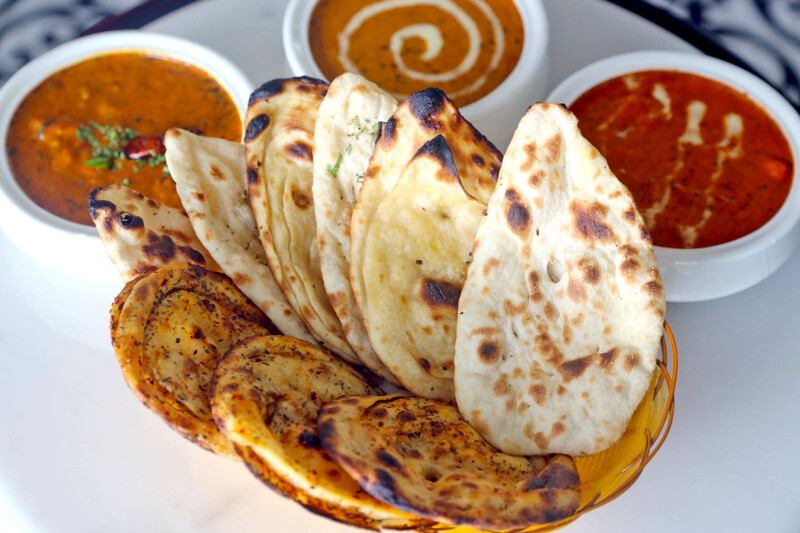 The Rampuri Parantha ($8++), which means multi-layered cooked dough, when stuffed with red chilli flakes and dipped in Chicken Tikka ($34++) gravy, is sheer exotic indulgence. They now offer a 4-course executive set lunch at $30++. That’s fine dining at affordable rates. It is hard to pinpoint a particular charm about Miska Café, I would like to call it ‘modern-Mediterranean’ with a touch of fun. You get a fair share of Mediterranean influenced dishes such as Baked Halloumi cheese slices from Cyprus ($13++), Hummus ($10++), Kebab Wraps ($21++), to more western dishes from pizzas, pastas and burgers. 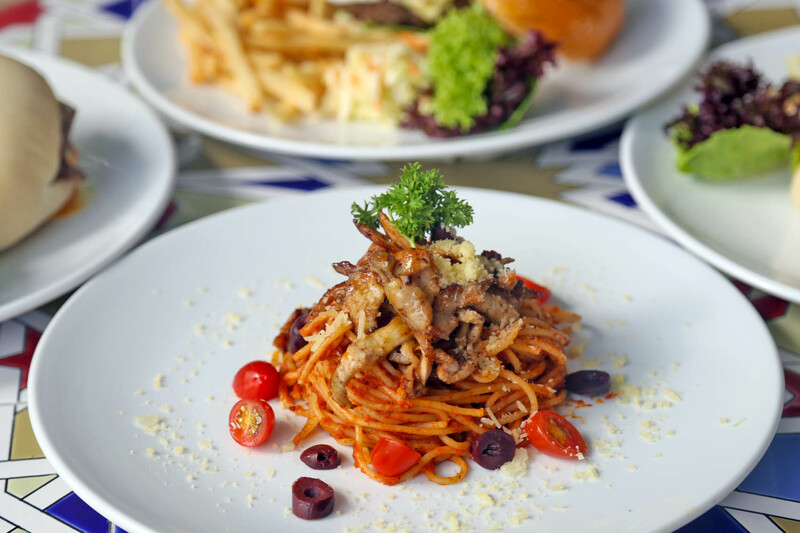 What I appreciate about their pastas is that it combines a familiar comfort food with kebab-style meat slices. Have a cooling drink to complement your meals, with a selection of cold draught beer, wines, margaritas, cocktails and interesting specialty drinks such as Kiwi Sparkle, Passion Fruit Sparkle and Virgin Pina Colada (between $8-$10++). A 3-course set lunch is at an inexpensive price of $25++. Opening Hours: 5pm-11pm (Mon), 3pm-11pm (Tues-Thurs), 3pm-1am (Fri), 11am-1am (Sat), 11am-11pm (Sun). Last order for food at 9:30pm; last food order for Paella is 9:00pm. There is also no service charge. 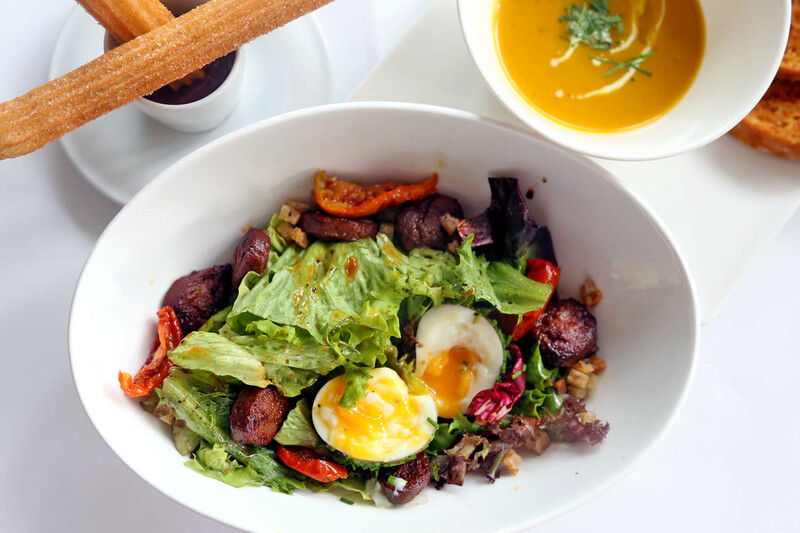 Sometimes I will miss Spain so much, and the best way to alleviate that is to indulge at Paradiso Restaurant & Bar which serves some of the best of Mediterranean and Spanish cuisine. Some of my favourites are the flavourful Classic Seafood Paella Valenciana ($34+) of generous seafood cooked in prawn stock with Arborio rice, Baked King Prawns ($26+), Homemade Beef Cheddar Burger ($22+), tapas such as Stuffed Baked Mushroom ($14+), Chargrilled Squid in Cuban Sofrito sauce ($14+), and an interesting creation called the Mojito Chicken ($24+). Yes, Mojito Chicken served with patatas bravas. Delicioso. It’s a feast with an amazing view! There is also a Weekday Promotion Lucky Draw that will be ongoing until 31 October 2014. Simply spend more than $120 in a maximum 2 same-day combined receipts on weekdays, and you will be entitled to join with one chance! Grand Prize: 2D1N Away Wow Suite Stay at W Singapore-Sentosa Cove Hotel (including 2 breakfasts, and pick-up and drop-off in a Porsche Cayenne), and $300 worth of Quayside Isle vouchers! We are also giving away 4 sets of Quayside Isle vouchers worth $300 each! Simply take a photo at Quayside Isle, upload on Instagram with the hashtags #QuaysideIsle and #DanielFoodDiary and stand a chance to win $200 worth of vouchers! Looking forward to see your delicious pictures! Contest ends on Thursday, 31 July 2014, and 2 winners will be chosen!